Those holding Commercial Driver’s License (CDL) are allowed to drive buses, tractor-trailers, and large or heavy vehicles for commercial use. Rules vary among states. The United States Commercial Motor Vehicle Safety Act of 1986 was enacted to prevent and lessen bus and truck deaths and accidents. North Carolina has adopted the Act. •	Established a database that listed alcohol and drug testing results for those holding CDLs. CLASS A – any mix of vehicles with a Gross Vehicle Weight Rating that exceeded 26,001 pounds, given the towing weight of the vehicle or the combined weight of the vehicles exceeds ten thousand pounds. CLASS B –a single vehicle with Gross Vehicle Weight Rating that exceeds 26,001 and any vehicle pulling another that is not more than ten thousand pounds. CLASS C – Any vehicle not defined in Class A or B, yet is designed to carry sixteen or more people as well as the operator or is utilized in the transport of Hazardous Materials that require signage under the Federal Rules. One must be 18 years old to apply for a Commercial Learner’s Permit (CLP) and until a driver is 21 years old, they can only drive within the state. A driver must also be 21 years old for jobs that necessitate a medical card and to acquire a hazardous materials endorsement. Before one can obtain a CDL in North Carolina, they have to first obtain a CLP. They will have to schedule an appointment with their local North Carolina Division of Motor Vehicles (NC DMV) and provide two documents that prove identity and age, proof of Social Security Number, proof of North Carolina residency, and proof of liability insurance. A fee must also be paid. After the NC DMV will issue the CLP, the applicant can take the written exam. A CLP is effective for 180 only. An individual is limited to only two CLPS in two years. If the CLP expiration date has passed thirty days, the applicant must take all written tests once again in order to get another CLP. The CLP must be held for a minimum of fourteen days before taking the skills exam. Those with CLPs can only drive on public roads with a CDL holder seated beside them. The CDL must hold the same license as the CLP.All applicants must take and pass a general knowledge test. Those applying for a Bus Driver CDL must also take a passenger transport test. Those who wish to drive combination vehicles must take a combination vehicle test. The other test rules follow logically. Those who wish to drive vehicles with air brakes must take an air brake test and so on. One can only take the general knowledge test once a day. If one cannot pass it after three attempts, the application fee must be paid again. Once one passes the required knowledge test or tests, they can then take the CDL skills tests. There are three kinds: on-road driving; vehicle control; and, vehicle inspection. The tests are taken in the vehicle in which the individual wishes to be licensed. While one could always earn to drive a commercial vehicle without formal training, companies may not hire them as schools are readily available and affordable. Formal training also lessens the shock of actually getting behind the wheel of a commercial vehicle. Driving schools also offers useful advice and help with passing exams. The North Carolina Commercial Driver License Manual also advocates formal training and states that even it cannot replace training programs. It notes that a formal program is the best way to master the many specialized skills needed to become a professional driver in the trucking business and safely operate large commercial vehicles. Truck driving schools are also relatively affordable with most offering financial aid. Classes are also short. Some programs only last four-five weeks. Programs split time between the classroom and behind-the-wheel training. One must pay fees for services related to the CDL and classes regarding same. If the CDL applicant was recently been discharged from the Military, the NC DMV will waive the CDL behind-the-wheel skills test. 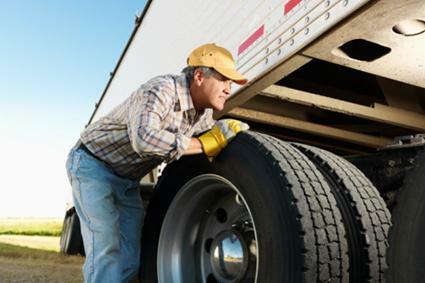 The U.S. Bureau of Labor Statistics expects work for a tractor-trailer and heavy truck operators to grow five percent through 2024, the average for all professions. The career of Commercial Driver is considered a lifestyle choice as the work can take a driver away from home for several days or weeks each time. A driver might miss special family occasions, their children’s activities, hanging around with friends, and the opportunity to develop friendships and relationships. The work is performed alone and communication with others is limited, so one needs to be physically and psychologically capable of handling it. A Commercial Truck Driver oftentimes gets to enjoy different parts of the country and many drivers have seen the entire United States. Few jobs offer such chances. Commercial Truck Drivers receive decently and good benefits. There is usually a lot of opportunities and the work is fairly stable. There is usually room for promotion and the ability to raise one’s salary and improve routes. As long as one maintains a clean driving record, one can easily find work. The U.S. Bureau of Labor Statistics expects work for bus drivers to grow six percent through 2024, the average for all professions. Work for school bus operators is expected to grow mostly due to anticipated increases in numbers of school age children. As well, special-needs bus operators will also most likely grow, in addition to increased school needs, but also due to increased needs for the aging population. New transit routes, an increase of nationwide systems, and a surge in inner city populations are projecting a rise in employment opportunities for charter and intercity transit bus drivers. Drivers are usually required to work odd hours, evenings, and weekends. It can be stressful to deal with passengers and traffic conditions, plus driving all the time can be dangerous. It’s lonely and drivers must handle situations by themselves. For school bus drivers, it can be difficult to deal with thankless students, teachers, parents, and other drivers. Training time is relatively short and entails little direct supervision. There is usually a need for drivers and it’s relatively easy to find work.Those that were listed as thankless, oftentimes act very kindly and say things that make a driver feel good. Being a driver for children and special needs individuals feels worthy and the work is meaningful. One also gets to be outside.The hours are short and one gets great vacation time and has off nights and weekends.